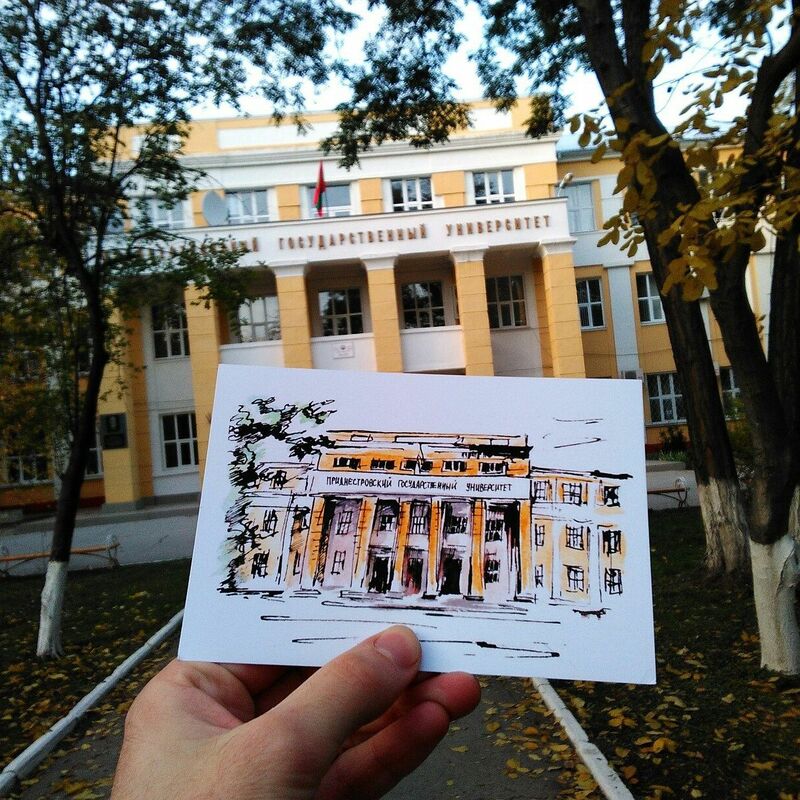 It is a very special post today, a digital interview with Anton Dendemarchenko, artist and tour guide from Transnistria, the country that doesn’t exist. I can tell that it does exist and I traveled there in 2017. It looks like the last standing Soviet republic where time stopped in 1990, I saw capital city Tiraspol and old fortress in Bendery. I added some photos from this unique journey so you see that it is not a joke – Transnistria is a real country and it does exist! Thank you Anton Dendemarchenko for explaining Transnistria for us. 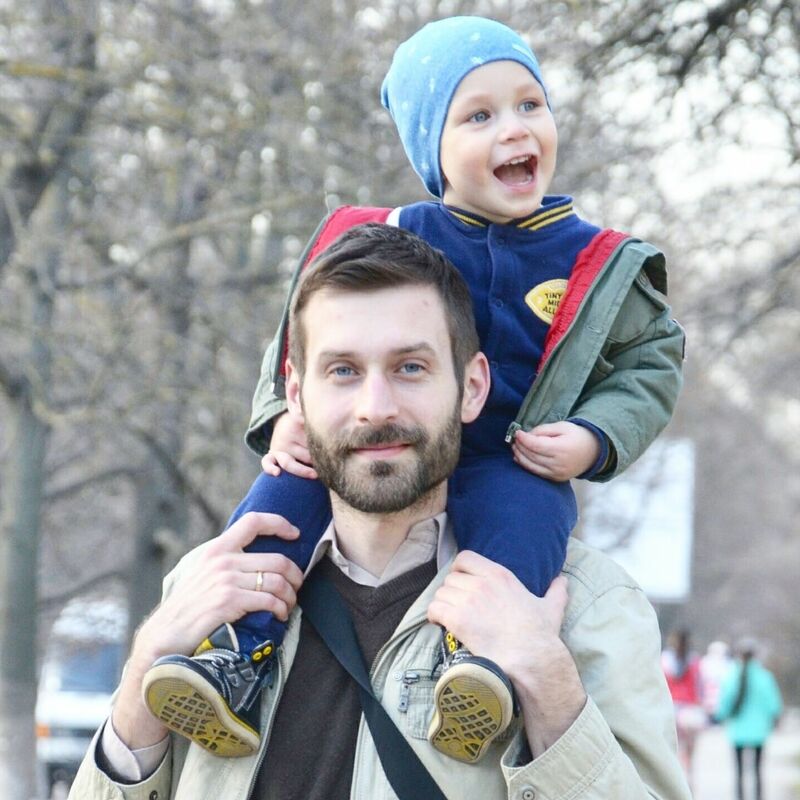 Tour guide Anton Dendemarchenko with his son Danila. To my opinion, Transnistria is awfully underrated. Do many people visit your country? – Definitely not, it is off beaten path. I’ve seen many dark things on the internet, might it be the reason? – Propaganda is quite intense, plus there are rumors. I’ve read materials by those who obviously haven’t visited the country at all but painted a picture more formidable than North Korea. 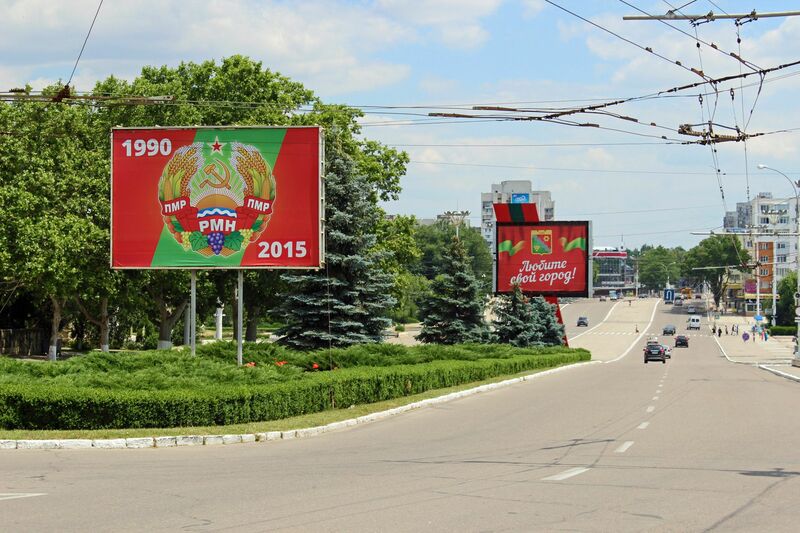 The main street in Tiraspol, the capital of Transnistria. Hard to believe, I wasn’t shot or robbed during my stay. I’m kidding. – No wonder. My country is not touristic, that is the only plus of it – it is safe. The whole city center is illuminated so I highly recommend to stay for more than a day and take a walk in the evening. Don’t be scared to keep some money with you, there is a row of cozy cafes and bars along the way. No need to get drunk, just to enjoy southern cuisine and products of local breweries. Transnistria is famous for cognac, what else have you got? – There are three types of beer in here now, at least. But don’t strike cognac off the list! I am not a heavy drinker, but I tried it. Quite decent. – One more thing. Just one more thing, as lieutenant Columbo said. It is prohibited by the law to drink alcohol in the street. In all other cases, it is quite hard to get in trouble in Transnistria. I mean it requires tremendous effort! 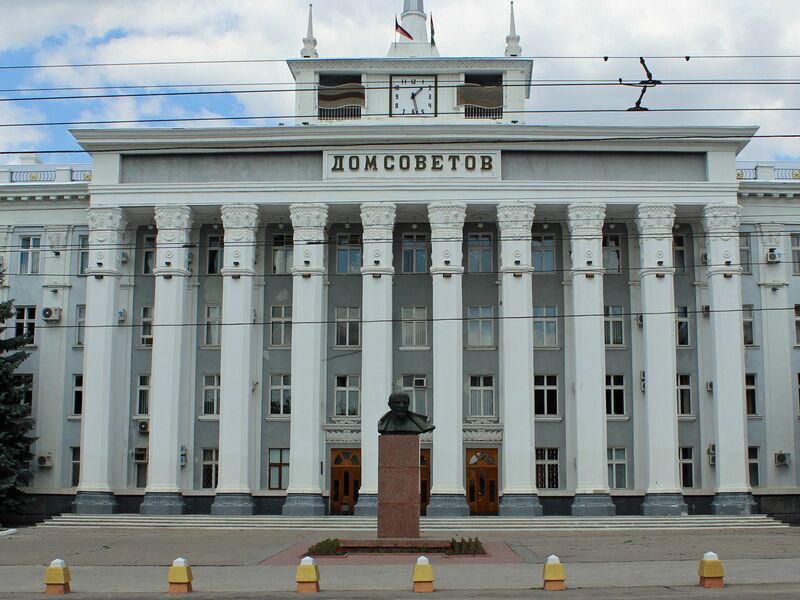 What is the most curious thing in Transnistria for you? – It is crazy but every other week I discover something new and bite my elbows, oh man, we should stop here last time during the tour! But when I say I do “tour” it is not a tour, not exactly, it is more like a journey. Not standing in front of monuments in a crowd, you know what I mean. I try to do what I would like to experience myself when I go abroad. I want to see hidden gems and background of top attractions, talk about real life and learn about history, exchange stories, have a good stop for coffee and snacks, maybe something stronger than coffee, it depends. So I don’t go same exact route every tour, we are very volatile where to go and what to do. So what to expect of Transnistria, what can you announce for all the people who just hear this name for the first time? – I can tell you one thing. No matter what you do and where you go, whether you support me as a guide or just go solo making photos of Lenin, you won’t be disappointed. Transnistria has Soviet atmosphere mixed with modern trends, southern comfort, and beautiful nature. Don’t be surprised if everyone you meet is stunned like “How did get here?” or just don’t speak English at all. 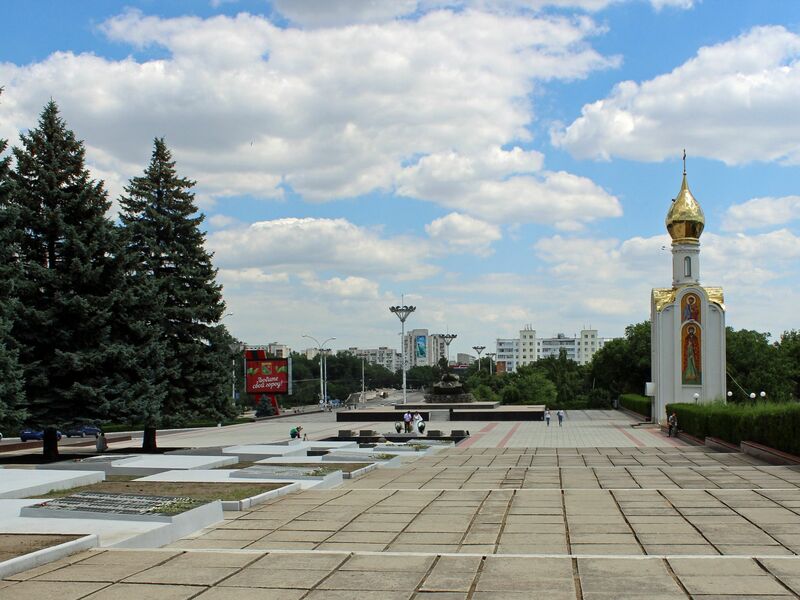 Anyway, take a chance and go at least as a day trip from Chisinau, capital of Moldova! How to get to Transnistria? What about transport? – You may go by bus or train from Odessa, Ukraine or Chisinau, Moldova. Both Chisinau and Odessa have airports. Or you can take a train from Bucharest to Chisinau or from Kiev to Odessa. How to get from Chisinau: by bus from Gara Centrala or by train from Gara Feroviara, by now price is less than 3 EURO. How to get from Odessa: by bus from here or by train from here. Always check the schedule at the bus/train station or ask the reception of your hotel to check for you. So you can go early in the morning and go back in the evening, it is perfect for a day trip. Everything is in close distance in my country. 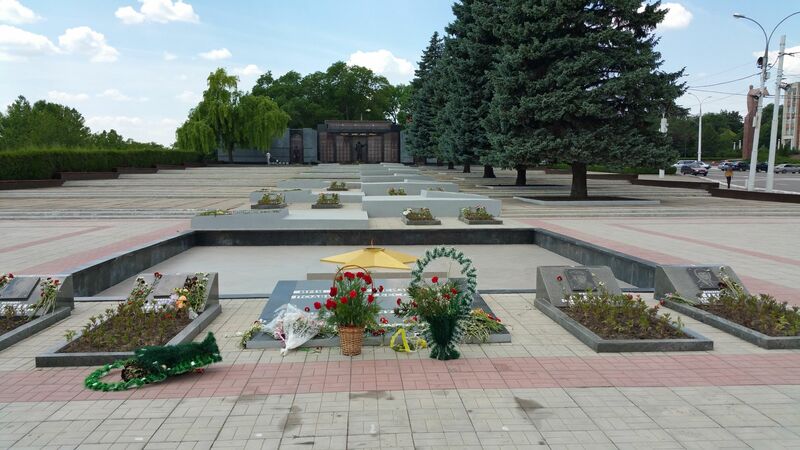 A war memorial in Tiraspol. -That’s right. No need to enter Moldova or Ukraine first, it is visa-free for all EU or USA citizens. Anyway, if you entered Moldova or Ukraine you can go to Transnistria visa-free. Or let’s call it a free visa. When you pass the border you show your passport to border control officer, then you get a transit visa or visa for a certain period if you say the address of the hotel where you will be staying. It is not a stamp in your passport, no, it is a piece of paper. So on the way back, you give this document back to the border control. Where would you recommend to go? -Grab a coffee, some street food and walk along the soviet thoroughfare that leads from theatre and House of Soviets to central square and House of Parliament, every other minute you will have something to capture, enjoy the sun and buy kvas from devotchkas near big yellow barrels. You may like it or not – but it is an authentic USSR recipe, there is no other place you can find anything close. 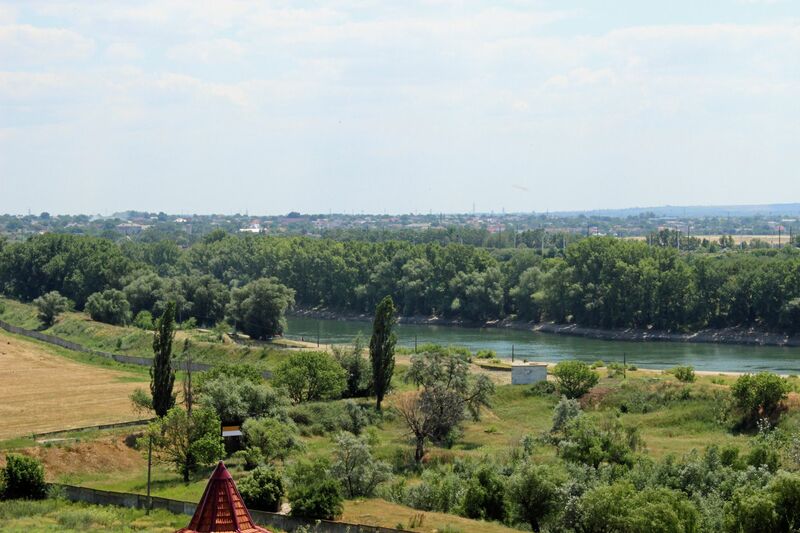 There is a picturesque view from the bridge over the Dniester, quite close to T-34 memorial. Don’t be surprised to Vladimir Lenin every now and then, Soviet cars, hammer and sickle, you know what, just do it as a challenge “Soviet legacy hunting”. Be attentive to the name of every street. Many streets naturally have communist names including central street – “25 October street”. That is nothing else but the date of the revolution of 1917. On the side of 25th October Street. On picture: The Eternal fire and St. George Chapel. I went to the Turkish fortress in Bendery, it has Swedish connections, curious. – That’s true, Carl XII was here. I haven’t met the king though. It was long before I was born. Kidding. You are a multi-talent and also doing art, right? Tell a bit more about your art, please. -Well, I do postcards with my drawings and there is a set now. But it is transforming all the time. I created a map of my country too, a big poster with my sketches. For all fans of unique countries. Kidding. A nice sketch from Anton Dendemarchenko. What was your first postcard? -I guess it was the fortress. I have one how it looked many years ago when I was in art school and one relatively modern. One last question, are you working on any new tours? -I do free walking tours in Tiraspol, capital of Pridnestrovie. Pridnestrovie is the Russian name of my country. But the best possible journey now is full day tour through Tiraspol, Kitskany and Bendery, all in one day. Each settlement has my favorite sightseeing and hidden gems. Not an exhausting trip: some riding, some walking, history, and modern urban stories, loads of impressions. We will cover top attractions too! Thanks for the talk! I want to say some final words to everyone. We had no chance to meet during my stay but I am impressed, see you in Transnistria, Anton! – Cheers, comrade Anton! In Russian, we call a person with the same name “тёзка”, so cheers, тёзка! Tiraspol – The World’s Coolest Capital?